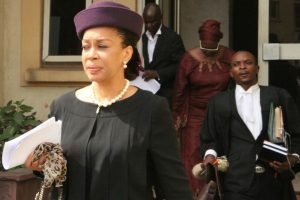 Presently, Anambra finds herself in the midst of a steamy but latent battle for the control of her state resources between sincere parties who claim proficiency in the adjudication of Anambra’s financial prowess and parties who have little interest in the wellbeing of the state’s economy or her finances. The parties are difficult to distinguish. They preach, talk of love and desire for a prosperous Anambra State, claiming the best at heart for the State. This is while pointing accusatory fingers at the other party. And it has become unfortunate. 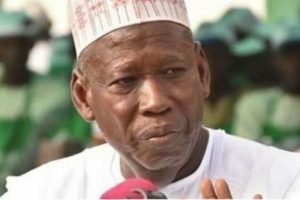 Even more so when it is understood that the future of the ailing state hangs on the balance and largely dependent on the actions or inactions of the electorate to select the leaders of the state for the next four years. This electorate, sadly, remain solemnly in the dark of the critical issues at play. From the onset of democracy in Nigeria, Anambra has served a hotbed of election related dramatics and theatrics. The actors have showed endless reserve for their propensity to tweak the system towards the absurd with each turn of election round. The election of 1999 which brought about Dr. Chinwoke Mbadinuju as the first governor of Anambra State under the political banner of the Peoples Democratic Party [PDP] opened the flood gates to what resulted to the brigandage that overtook the politics of Anambra State. The Mbadinuju era brought the age of godfatherism to the centerfold of governance in Anambra State. 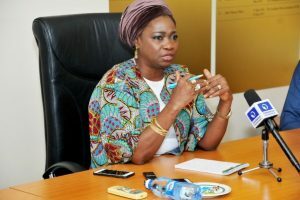 It introduced the commerce of political venture through the persons of Emeka Ofor, Chris Uba, Arthur Eze, and many other money men who wanted their hands in the treasury. Dr. Mbadinuju in his gentility could not manage the godfathers auguring for the state treasury. He never had a chance. Within a short period, the finances of the state could no longer carry the load imposed on it by the new hungry and greedy godfathers. It broke. School teachers could no longer be paid their salaries for close to two years. Civil servants were owed salaries for the same period. The system was gradually grinding to a halt. Anambra was going out of business. Then came the election of 2003. Mbadinuju was forced out of the PDP. He joined the AD and lost the election. The election saw the reintroduction of a new form of brigandage. It launched Chris Uba into centerfold of political godfatherism as a lucrative business. Chris Uba had his elder brother, Andy Uba at the presidency with the then President Olusegun Obasanjo as his Man Friday and special assistant domestic matters. With this, Dr. Chris Ngige was ‘elected’ as the Governor and godson to Chris Uba. This is without campaigning or putting up a single billboard or campaign poster. Not minding the uproar and anger in the community, Chris Uba brazenly ‘arrested’ the government house and moved in with his godson. The story had it that during the inauguration Chris Uba waited for his godson to begin his inaugural address before arriving with his luxurious American model vehicle at the inaugural grounds. He parked the vehicle on the red carpet next to the podium. He exited and announced his arrival. The arrival of the new keeper of Anambra treasury. It did not take long before the fracas began. The godson wanted out of the arraignment. The quarrel of the sharing of Anambra State resources became the quandary. A very potent quandary that resulted in the kidnap of the state governor [Ngige] and a botched impeachment of the governor. Unfazed, the godfather and his co-actors continued under the protected of the then ruling party to unleash the burning of state owned infrastructures such the Radio Stations, Office Buildings etc. 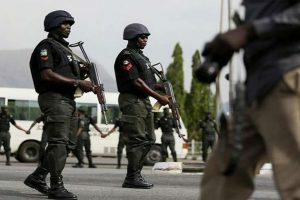 Their brazen act was geared towards convincing the then President of the federation into declaring a state of emergency. Thus removing the state governor. Their effort failed. 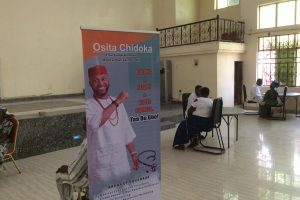 The Chris Uba group regrouped and decided to channel their efforts at the tribunal. They decided to become witnesses against their case in order to effect the removal of their disobedient godson. The PDP and the All Progressive Grand Alliance [APGA] were already that the Election Tribunal where APGA was challenging the election results. Peter Obi was the then gubernatorial candidate for the APGA. Chris Uba and his gang approached the Tribunal with their confessional statement – opening to the panel of Judges on how their rigged the election. They provided the real and fake ballot papers, and other relevant documents used to rig the election. The nation was shocked. The tribunal ruled in favor of APGA, and Ngige, the disobedient godson, was removed. The godfather had succeeded. The APGA governorship candidate in the person of Peter Obi was sworn in as the new governor of Anambra State in early 2006. The disobedient godson took off to the United States of America for safety. Within a year into Peter Obi arrival, the godfathers struck again. This time they orchestrated the impeachment of Peter Obi. It succeeded but was overturned through behind the curtains arrangement that enabled Peter Obi’s return 90 days after the impeachment. As 2007 elections came, the INEC erroneously called for elections in Anambra. Peter Obi refused to participate citing his tenure had not elapsed. The INEC went on to conduct the election and announced the winner of the election as Andy Uba. With only 14 days after his inauguration, Andy Uba was booted out of office by the Supreme Court who ruled that the INEC should have not conducted the election in the first place. Again, the godfathers failed in their attempt at comeback. 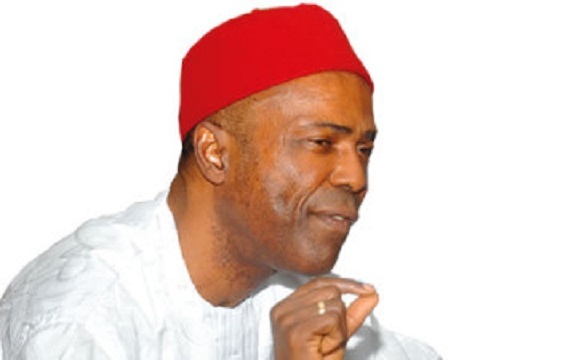 From 2007 to 2013, APGA held sway of the affairs of Anambra under the leadership of the late Chukwuemeka Odumegwu Ojukwu, Ikemba Nnewi. The presence of the late Ikemba appeared evident in the affairs of the State. He quelled the perturbations that had left the political terrain unstable. While the late Ikemba oversaw the affairs of APGA, Anambra saw a new promise and hope unlike the PDP years of carnivorous godfatherism. It reintroduced peace and civility into the polity. The brigands were no longer lurking. 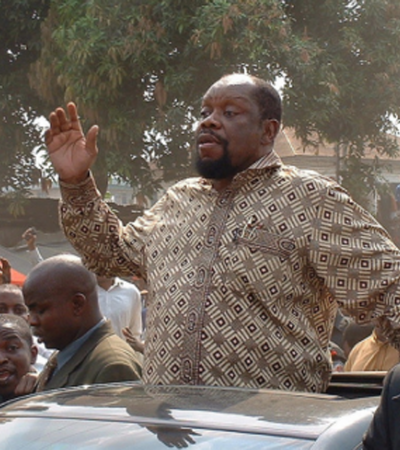 With the death of the Great Ikemba on November 26, 2011, came the death of the many hopes and promises. Peter Obi who the late Ikemba had held a hand up as a “Last Wish” for the people of Anambra during the reelection campaign of 2010, dumped the APGA and joined the godfathers in the PDP. While joining the party of the godfathers, Peter Obi told the people of Anambra that APGA had nothing left in it, that the party had no use to him anymore. The people of Anambra received the news in shock but carried on the hopes and promises of a stable Anambra as professed by the late Ikemba. 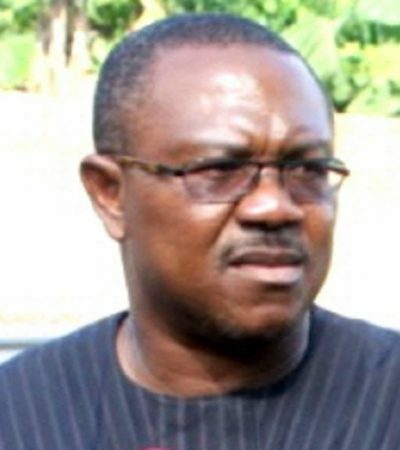 Published reports had it that Peter Obi left the APGA owing to Governor Obiano’s refusal to honor supposed agreements reached before the election to pay Peter Obi the sum of N7billion after the election – as part of the expenses incurred during the gubernatorial campaign. In essence, Obiano’s refusal to gown Peter Obi the regalia of godfather – led to the breakup. Obiano became the disobedient godson. 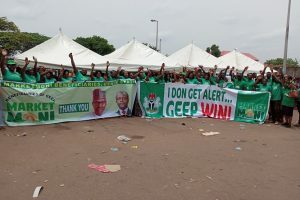 At the time of Peter Obi’s departure from the APGA, the tempting hopes of lofty political appointments was looming high following the battle for Goodluck Jonathan’s reelection campaign – which later failed. 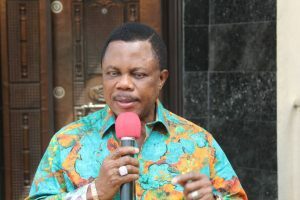 But in Anambra, the APGA which Peter Obi left behind for the vultures to devour under the leadership of the new APGA governor, Willie Obiano, found succor in the strangest of ways. 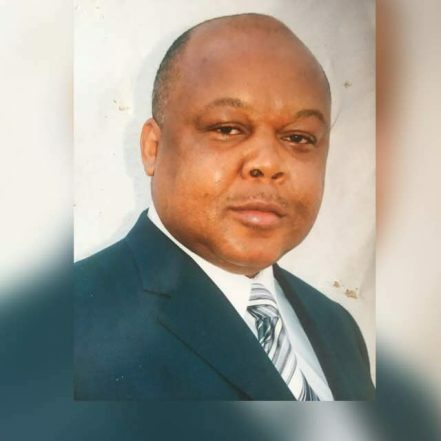 The duo of Victor Umeh, the former national Chairman and the new governor took on the daunting task of steering the party of the Great Ikemba to its rightful purpose. It is uncertain how well the new managers of the affairs in Anambra might have performed in steering the APGA but the indicators are pointing in the right direction. 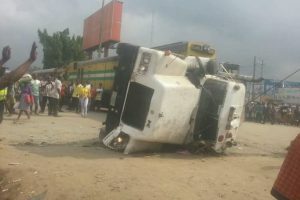 The three years of Obiano has displayed tranquility in the polity just as Great Ikemba affected it when he was alive. In these three years, the polity remain devoid of the evils of political godfathers and brigands. Perhaps with the coming years, the people of Anambra State will gain a better introspect into the critical issues that lay before them with each election round. Only then will they understand the value of their thumbnails of Election Day.